How big is your Gallery? Expand your hall of heroes with this Marvel Gallery Statue of Captain America! 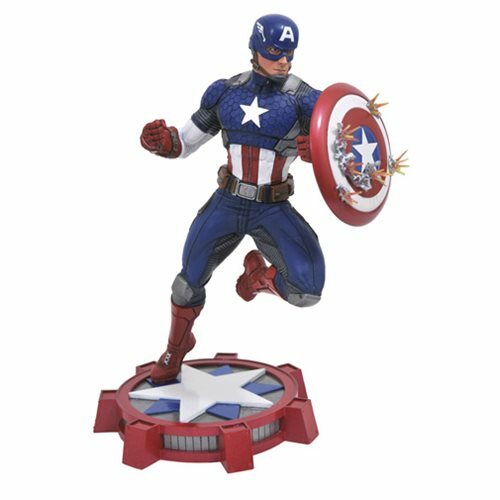 This stunning statue depicts the star-spangled Avenger in his Marvel NOW! outfit, deflecting bullets. Sculpted by Jean St. Jean, this Marvel Gallery Captain America Statue measures approximately 9-inches tall and comes packaged in a full-color window box.